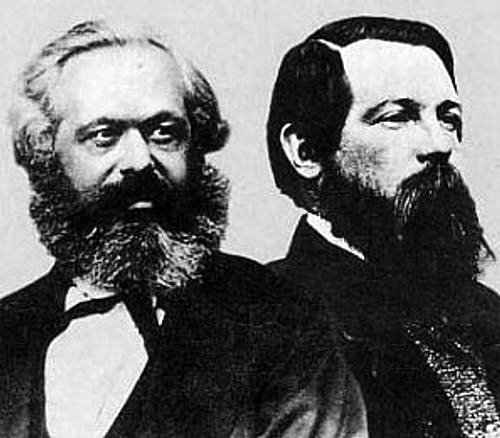 Marx and Engels wrote “the history of all hitherto existing society is the history of class struggles” (Karl Marx and Friedrich Engels, Communist Manifesto, 1848). They argued that capitalism should be replaced by socialism—a term that broadly refers to government ownership of industries and collective, rather than private, ownership of property. Eventually, Marx and Engels envisioned a classless society giving “to each according to his need,” and taking “from each according to his ability.” There would no longer be any unfulfilled need, or even a need for government itself in a future communist society. The individual person, with rights at the center of the American tradition, would be replaced by socialized persons called “species beings.” Until that time the Communist party would rule a “dictatorship of the proletariat,” the working class that the party claimed to represent. Socialism appealed to some but not many in the U.S. The Socialist Labor Party was founded in 1877, with goals of a classless society and collective ownership of industry and social services. Woodrow Wilson, while not claiming the label “Socialist,” determined that democracy and socialism were not all that different. Writing as a leading professor in 1887, he wrote: “In a fundamental theory socialism and democracy are almost if not quite one and the same. They both rest at bottom upon the absolute right of the community to determine its own destiny and that of its members. Men as communities are supreme over men as individuals” (Woodrow Wilson, Socialism and Democracy, 1887). The idea that government or “the community,” has “an absolute right to determine its own destiny and that of its members” is a progressive one. The difference between the Founders’ and progressive’s visions can be summarized this way: The Founders believed citizens could best pursue happiness if government was limited to protecting the life, liberty, and property of individuals. They believed people were naturally inclined to favor themselves, and they structured government so that people's self-interest and individual ambition would lead outstanding officials to check one another's attempts to exercise more power than the Constitution allows. Unlike the framers of the Constitution, progressives believed that the ultimate aim of government should be promoting the development of all human faculties. Because “communities” have rights, those rights are more important than the personal liberty of any one individual in that community. Therefore, they believed, government should provide citizens with the environment and the means to improve themselves through government-sponsored programs and policies as well as economic redistribution of goods from the rich to the poor. The twentieth century saw continued unrest over the conditions of workers in all industrial countries. In the U.S., some organized labor demonstrations became violent. When more than 100,000 workers protested pay cuts in the 1894 Pullman strike, disrupting all rail service west of Detroit, President Cleveland eventually used the U.S. Army to break the protests. Many believed socialism promised the relief they sought. The Socialist Party of America was formed in 1901. International Workers of the World, a union that called for the end of capitalism and wage labor, formed in 1905. Industrial tragedies like the Triangle Shirtwaist Factory Fire, in which more than one hundred workers died, further incited those demanding reforms. In 1917, the drama erupted in Europe as well, when the Bolshevik Revolution established Soviet Russia. 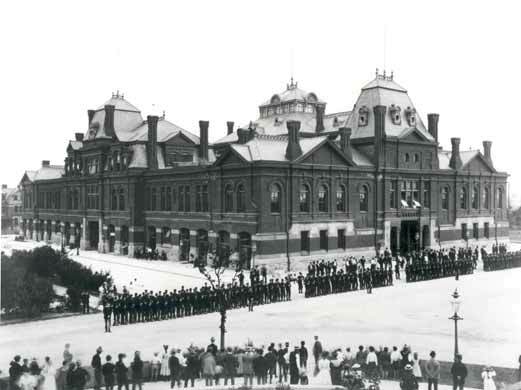 Strikers confront the Illinois National Guard during the 1894 Pullman Strike. Some saw the integration of some socialist party goals into the Democratic Party platform as a compromise. While the Socialist Party never captured the presidency in the U.S., Socialist candidate Eugene V. Debs received almost six percent of the popular vote in 1912. Socialist ideas were clearly part of the national conversation, and found their way into Progressive reforms of the period. Progressivism was not Marxism, but the two schools did agree that the community and its purposes should come before the individual and his preferences. These progressive reforms included the Sixteenth and Seventeenth Amendments. “Living political constitutions must be Darwinian in structure and in practice” (Woodrow Wilson, “What is Progress?” 1912). Wilson oversaw the implementation of progressive policies such as the introduction of the income tax and the creation of the Federal Reserve System to attempt to manage the economy. The Sixteenth Amendment authorized the national government to tax incomes. It was ratified in 1913, and Congress passed the Revenue Act of 1913 that same year. With a progressive income tax (where those who produce more pay more), the national government could now take wealth from some who had more and redistribute it to others who had less. 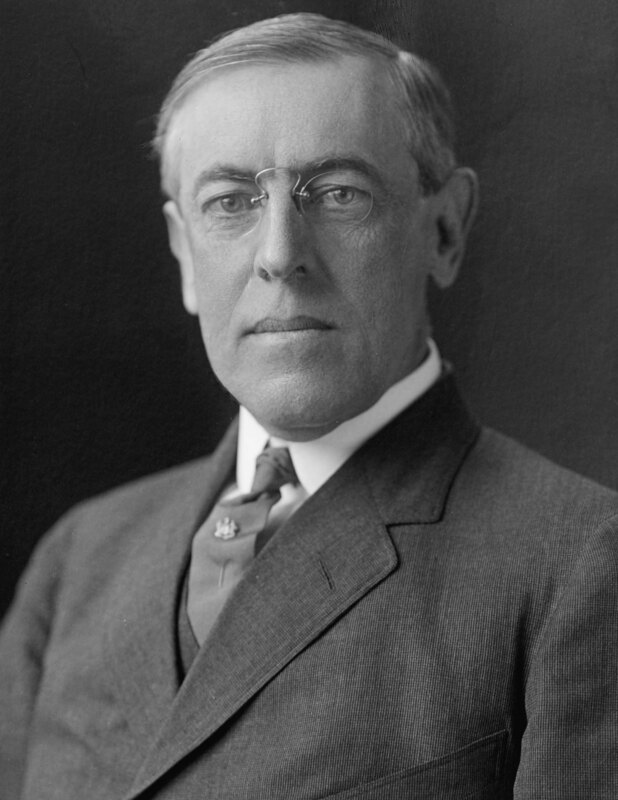 President Woodrow Wilson, a leading Progressive in the early twentieth century. Prohibition of the sale of liquor was a drastic progressive reform for the improvement of popular morality. While the Temperance movement began as a female-dominated attempt to persuade individuals to abstain from drinking, it later shifted to a campaign to use the force of law to ban the manufacture and sale of alcohol. The Eighteenth Amendment (1920) banned the manufacture, sale, or transport of intoxicating beverages and the Volstead Act codified it in U.S. law. A massive failure in every way, Prohibition was repealed with the Twenty-First Amendment in 1933. The last of the progressive amendments to the Constitution, the Nineteenth Amendment barred states from denying female citizens the right to vote in federal elections. This amendment extended the right to vote to half the population which had, in most states, been denied the right to cast votes for their representatives. Interestingly, some woman’s suffragists campaigned for the extension of the franchise to women not on women’s equality, but on women’s claimed superior moral character, which was needed to guide the U.S. down the right paths. 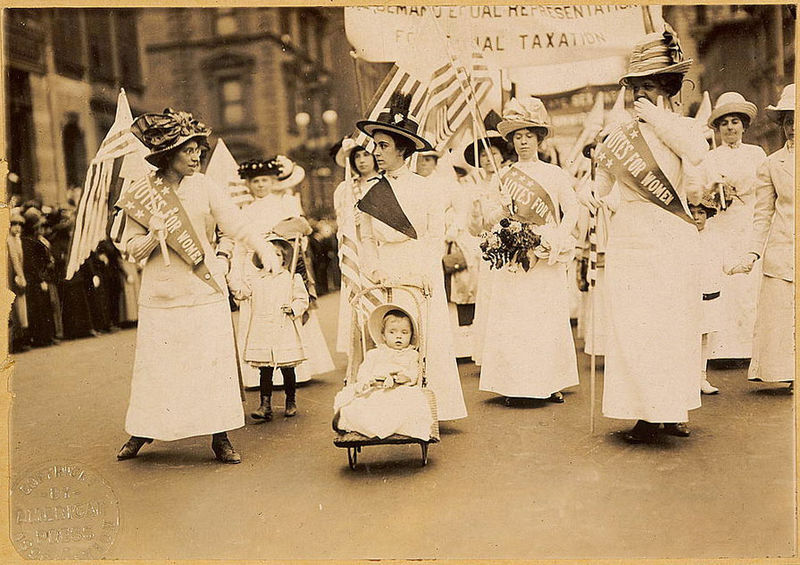 By acknowledging and basing their arguments on natural differences between the sexes, the suffrage movement differed from modern feminism which emphasizes the view that the sexes are essentially the same. The Progressive Era represented a dramatic shift when it came to many peoples’ understanding of democracy, the purpose of government, and the role it should play in our lives. It also set the stage for the New Deal, and a definition of “rights” that was also a dramatic break from tradition. Suffragettes march in New York City in 1912 for the right of women to vote.